Dishwashing liquid commercials vary in their subject matter. Either they take an eco-friendly approach, tug at your heartstrings by demonstrating how they save animals affected by an oil spill, or they show the product’s grease-cutting power. The Palmolive brand has come a long way from its origins as a beauty product. The above ad from the 1950’s pushes Palmolive as a beauty product promising better skin for all ages and skin types. 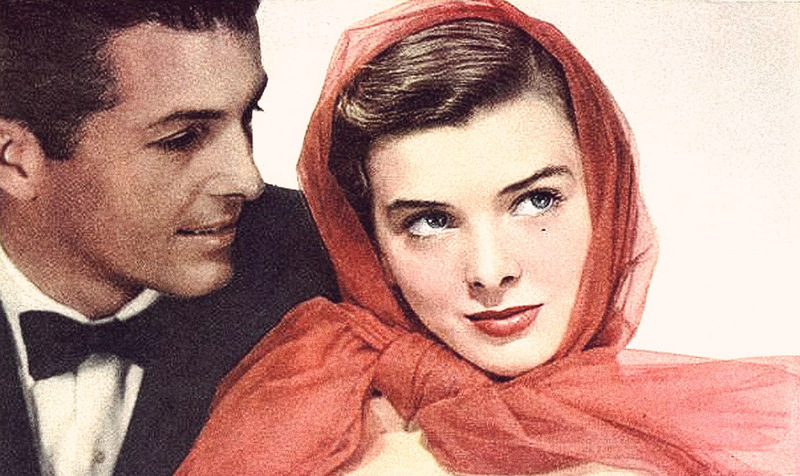 In current times, where skincare is usually sold as a complicated system featuring many products for day and night, the original Palmolive bar advocated simple “soap facials” that would “bring new complexion beauty to 2 out of 3 women.” Today, most beauty magazines caution women to avoid soap all together, warning of their harshness on the skin and problems that could arise with residue the soap bar leaves behind. But in the 1950’s, where efficiency was key, the little green Palmolive bar was pitched to members of the entire household. There were smaller-sized bars geared toward the women using it for their skincare, and larger sizes of the bar for use in the family bath. But as the nation welcomed the 1960’s, multi-step skincare systems would replace simple routines like Palmolive’s. The arrival of the Mod fashion scene in London and the Woodstock era in the States would bring new and completely different ideals of beauty to the world of fashion and the simplicity of the 1950’s lifestyle would disappear in the coming decades. Many would blame social evolution and technology for that change, but these factors also created a revolution in the fashion that would birth styles and looks readers like you would eventually call retro. But before the hippies of Woodstock, Twiggy’s painted eyelashes or the space-age craze, beauty was marketed as something easy to find in an object as simple as a bar of soap.